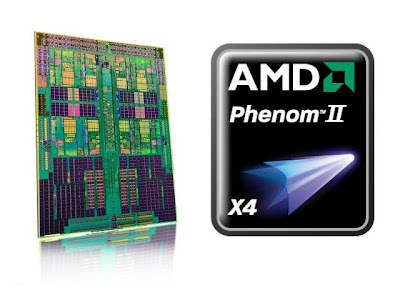 The AMD Phenom II X4 960T hidden cores can be unlocked and turning it into a Phenom II X6 with six cores ! On the 26th this month, AMD will soon be releasing it’s six core Phenom II X6 CPUs, codenamed “Thuban”. The Phenom II X6 will feature 6MB of L3 cache and six cores, together with a new feature that is similar to Intel’s Turbo Boost technology which boosts a 400MHz (unconfirmed) to its base frequency during high cpu load. According to various sources, the new Phenom II X4 “T” processors are basically are based on the same cores as the Phenom II X6. So, if you’re lucky, you would be able to unlocked the 2 remaining cores, turning your X4 into a X6. It should also feature the same 6MB of L3 cache and Turbo Boost like technology. The Phenom II X4 960T is said to spec at 3.3GHz and the 940T running at around 3GHz. With AMD you always get great value for price!